Fresh from causing waves at this year’s festival, Creamfields will bring their huge arena to town this year as Getintothis’ Craig MacDonald finds out. This Autumn will see the Cream brand return to its spiritual home of Liverpool, as Creamfields brings its huge Steel Yard arena to Liverpool Central Docks on November 26. Dance legends and former Swedish House Mafia members Axwell and Ingrosso are set to headline the event. The 10,000 capacity superstructure is the largest of its kind in Europe and was exclusively built for this year’s festival. 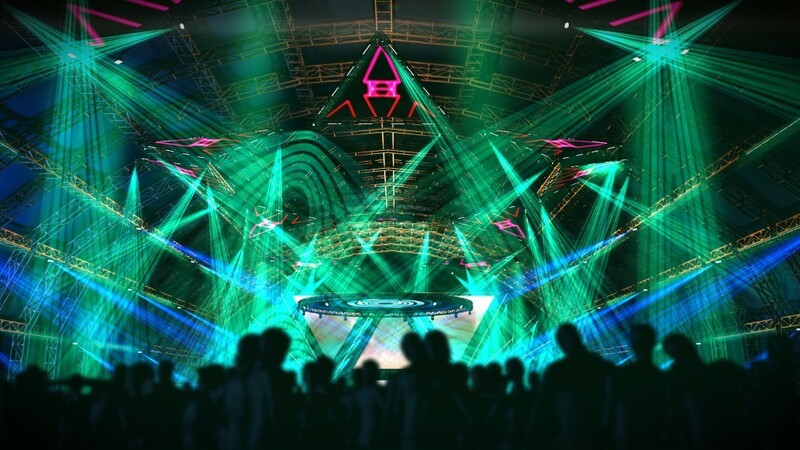 By using newly developed automated technology, the Steel Yard has revolutionised the way audiences immerse themselves into the clubland experience and went down a storm at its debut in Daresbury this summer. Win tickets, listen to exclusive mixes and get all the latest news from the dance scene with Footsteps On The Decks. With Creamfields set to celebrate its 20th anniversary next year, the Steel Yard marks the first time the Creamfields flag been flown Liverpool for over a decade, and will mark the first in a series of special events planned to coincide with the big occasion. Organisers hope the event will become a regular fixture in the city’s musical calendar and with more names set to be announced for Novembers extravaganza, the inaugural Steel Yard looks set to be a must not miss experience for dance heads. Creamfields Steel Yard featuring Axwell and Ingrosso takes place on Saturday, November 26 at Liverpool Central Docks. * Creamfields Presents – Steel Yard Axwell & Ingrosso plus special guests, November 26, 2016, 9pm – 4am. Central Docks, Liverpool Waters, Liverpool, L3 0BH. Tix: £40+BF (Early Bird) / £45+BF (General).